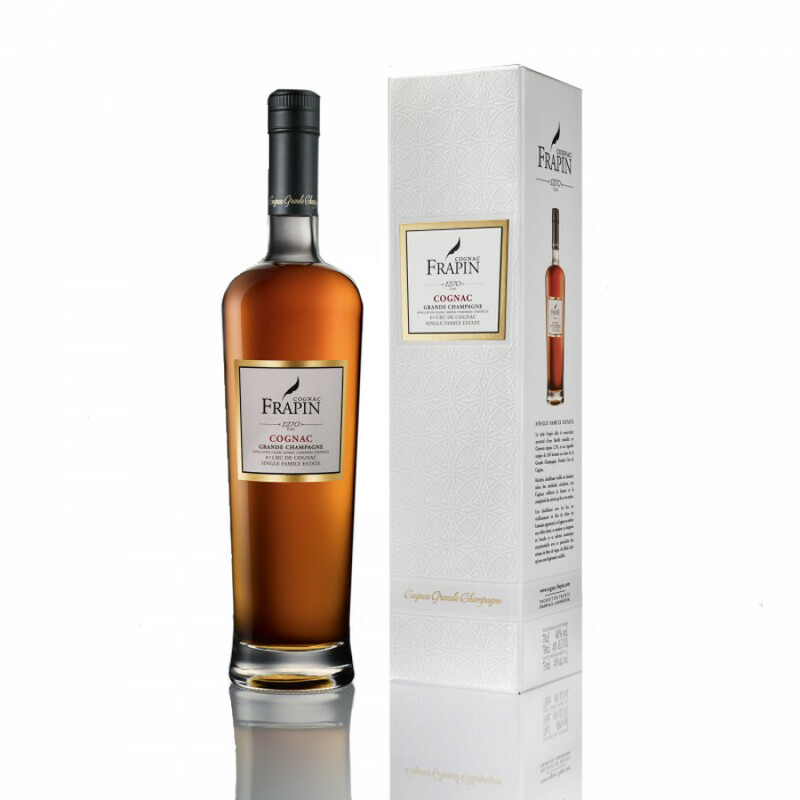 The Frapin 1270 Grande Champagne Cognac is a lovely vibrant, VS quality Cognac that's been created as a tribute to the history of the house of Frapin. Made solely from Grande Champagne eaux-de-vie, it benefits from all the things that make this premier cru so special. This is a Cognac that will make you re-think all you know about young blends. Bursting with originality, richness, and harmony, it's an extremely versatile bottle to own. It works perfectly either as an aperitif or digestif, as well as being a great Cognac for all types of mixology. Try it with tonic, sparkling water, or over ice–or it naturally makes a great base for a cocktail. And if you're feeling really adventurous, place the bottle in the freezer and enjoy it ice cold. Whichever way you choose to taste, this Cognac represents exceedingly good value for money, and will no doubt amaze that a VS quality Cognac can be so smooth. Excellent goût très satisfait . Tasting notes from Jacques Denis: Vanilla and woody shades. Roundness and suppleness on the palate. Rich, Fresh, Original Tank for thé Service en expéditions.